After the Second World War, a poor man’s car had been the Holy Grail for many automotive companies. Apart from the VW Beetle, there was the older Fiat 500, the British Mini and the French Citroen 2-CV. Japan also promoted a number of smaIl, very basic cars. VW began life in 1937 and its first car was very basic, designed to be cheap to make and cheap to run. It had a small air-cooled engine in the rear, close to the transmission for reducing fuel consumption and increasing space in the passenger compartment. It evolved in a number of models to ultimately become the famous “Beetle” that became one of the most popular cars in the world. Over 15 million units were produced at Volksburg, near Berlin, up to 1972 until new safety and emission norms made it shut down. It continued to be made in Mexi­co till 2003, by which time it had a re­cord production of 21.5 million units. Though VW also made many other successful cars, a demand for the iconic brand resulted in a modern new Beetle, but it was not a great success. In 2014, VW was neck to neck with Toyota as the largest automaker with a global production of just over 10 million cars and commercial vehicles. Despite a formidable pedigree, VW got off to a slow and shaky start in India and ended up being one of the last major auto companies to set up shop here. In 2007, it began production and today has a big plant at Chakan, near Pune, and investments of Rs 4,000 crore to make 2,00,000 units per year. In the last two decades, auto technology has steadily moved from mechanical engineering to electronics. Even small cars have over a dozen microprocessors and chips to control engine management, suspension, braking, steering, climate control, lighting and almost every function. These chips can even adjust engine settings for better efficiencies when driving slowly or fast. These gadgets are essential for the constantly in­creasing demands of safety, fuel efficiency and pollution control. The most important component is probably the electronic control unit that calibra­tes the fuel supply to meet every road and load condition with a number of sensors to measure temperature, oxygen levels, speed and other parameters. Pollution has always been a threat. However, VW became tempted to take its technology a bit too far. In 2009, it began introducing a secret code into its diesel vehicle software to track the steering and pedal movements that could signal when the car was being tested for nitrogen oxide emissions. The car would then automatically turn its pollution controls on. Regulators had no way of knowing about this tiny ruse. The problem was discovered when the Inter­na­tional Council on Clean Trans­por­tation wanted to investigate why there was a huge discrepancy bet­ween laboratory tests and real-road performance for several VW diesel cars. 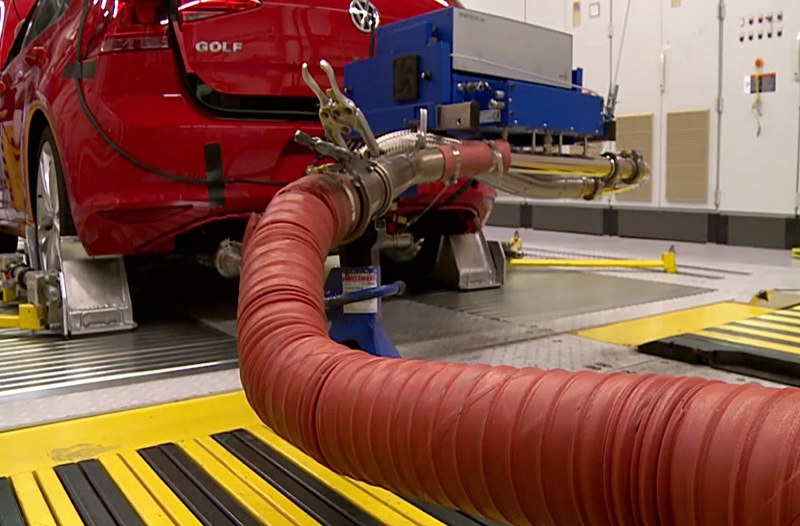 Investigators stuck a probe up the ex­haust pipe of some of VW’s clean diesel cars and drove them from San Diego to Seattle and found that its Jetta and Passat sedans were emitting many times as much nitrogen oxide as was found in lab tests. In May 2014, both California’s air pollution regulator and the Environment Protection Agency ordered VW to fix the problem, but the road performance still didn’t match lab tests. VW finally cracked and admitted the existence of these devices, which had been carefully hidden in their software codes. VW admitted that some 11 million clean diesel vehicles were affected. It has been the biggest-ever scandal in the global auto industry and cost the com­pany a fortune in recalls and fines. It had taken generations to build the great VW reputation and one little chip completely deflated a great company.